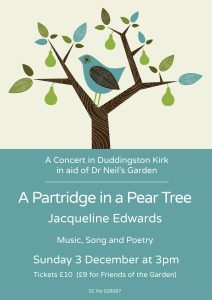 Dr Neil’s Garden are proud to present the concert “A Partridge in a Pear Tree” by Jacqueline Edwards (Mezzo-Soprano & Pianist). Jacqueline has entertained us previously with “A Frog In My Throat” in 2015 and “Airs On A Shoestring” in 2016. Once more we pleaded with her to return. 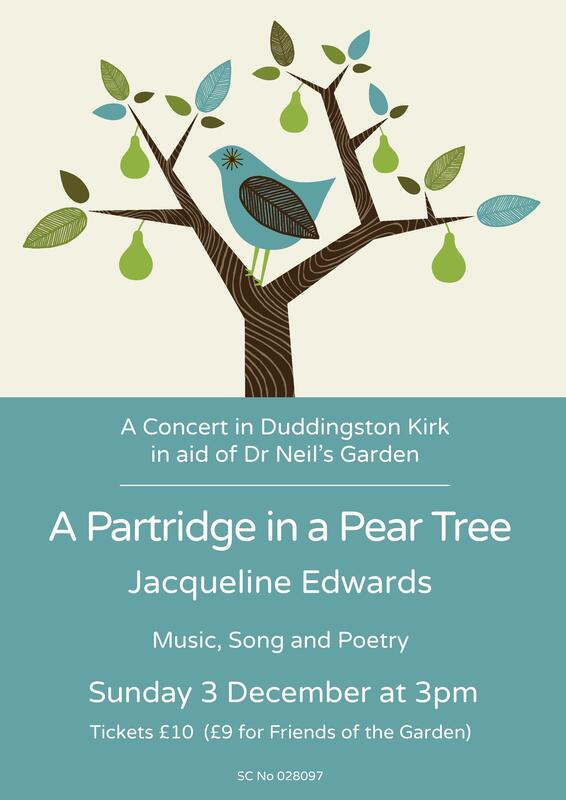 Duddingston Kirk Sunday 3rd December 15:00. 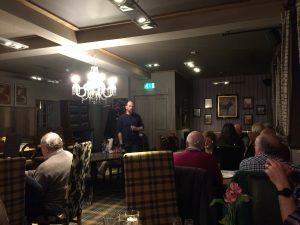 Tickets £10 (£9 for Friends of the Garden). This includes refreshments during the interval. Once more with Claudia taking the lead we are offering wreath making. 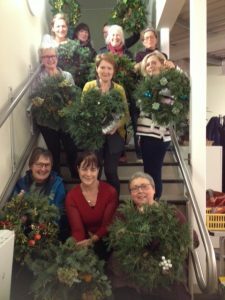 Shown are some of the wreathes from last year. 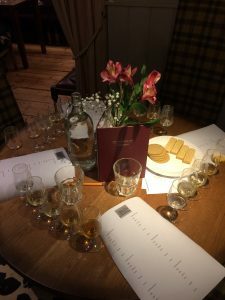 There are still some spaces available. All talks will be in the Millar Hall, Duddingston at 19:30.